rather than merely to motivate." "I offer SPEAKING SERVICES, that are very different, for Groups, Clubs, Organisations, Colleges, Schools, Company and Corporate Clients"
I’ve spent much time researching bullying. My findings and understanding of this problem, coupled with my ability to instil confidence, generate enthusiasm and provide direction have enabled me to help many youngsters escape from victimisation. My book “How to Beat Bullying” was endorsed by the Anti Bullying Campaign, was highly acclaimed and widely distributed both in the UK and internationally. 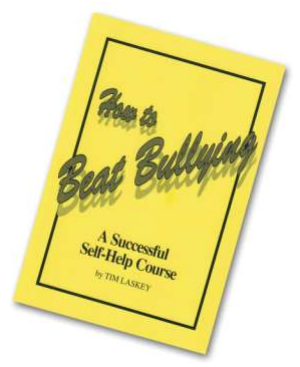 Please Note: Published in 1992, the information and inspirational message in "How to Beat Bullying" is as relevant as ever, however, some contact details contained within, may now be out of date. available by post to your door today! or order online here ! now ! today! 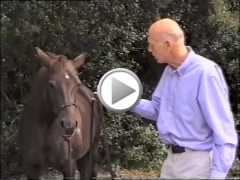 Does your horse have a problem (with you?) Inattention? Respect Issues? Non-compliance? Unpredictability? Loading? etc? etc? 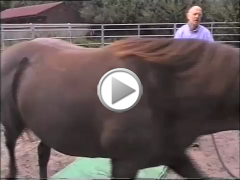 I get astonishing results with horses without fear, force or intimidation. Let me teach you how, with this instructional and informative DVD.